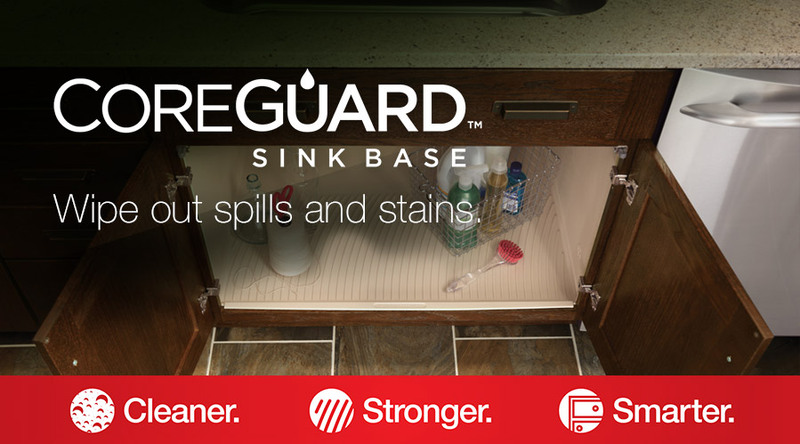 Merillat® cabinetry has taken a common problem - under-sink damage caused by minor spills, leaks and drips - and turned it into an innovative, game- changing solution. Available in select sizes of Merillat Masterpiece® and Merillat Classic® cabinetry. Engineered polymer sides, back and floor resist damage caused by spilled liquids and stains. 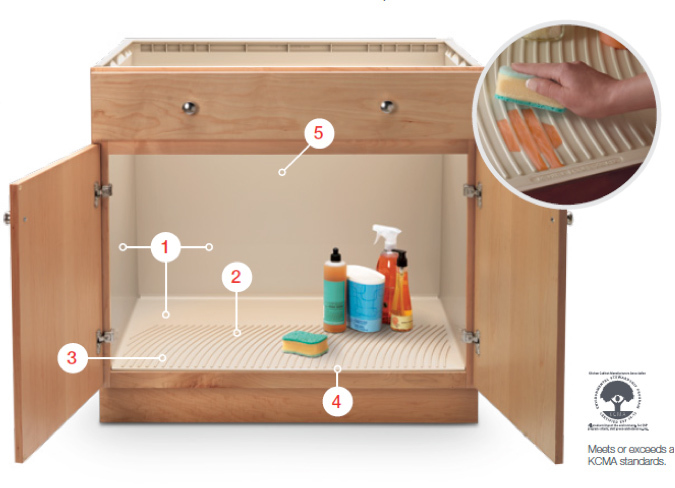 Raised ribs on the cabinet floor help keep stored items dry. The cabinet floor is slightly inclined to direct flow to front of cabinet for easier detection. A protective lip overlaps the bottom cabinet rail. The cabinet has no center rail in between the doors, making access to the cabinet interior easier.